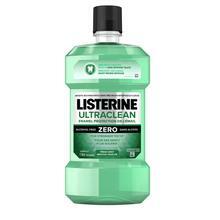 A new antiseptic mouthwash with fluoride that works hard to help reverse the effects of the day to reset your mouth. 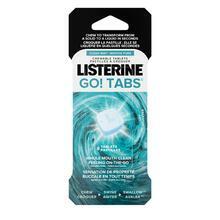 The Canadian Dental Association validates that adding LISTERINE® NIGHTLY RESET™ to a regular oral hygiene routine helps rebuild enamel that’s been weakened throughout the day. 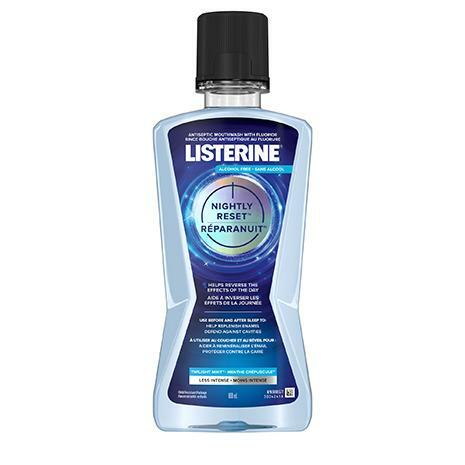 LISTERINE® NIGHTLY RESET™, is specially formulated with a less intense, zero alcohol TWILIGHT MINT™ flavour that’s perfect for bedtime. 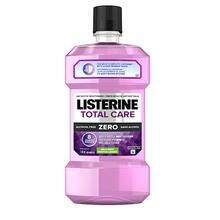 Use this mouth rinse before and after sleep as part of a regular oral care routine. Adults and children 12 years and older: Use after brushing the teeth with toothpaste. Rinse full strength with 20 mL for 30 seconds twice a day. DO NOT SWALLOW. Do not eat, drink or rinse with water for 30 minutes after use.